15th Battalion, The Durham Light Infantry. Killed in action, Monday, 27th May, 1918, aged 21. Within the memorial itself is a memorial cabinet to Sgt Harry Birchenough. The text below is from that cabinet and some of the documents are available to view below. 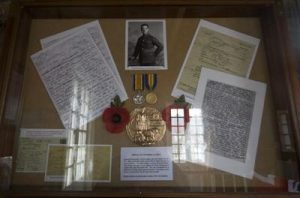 The documents and other memorabilia in this cabinet relate to just one soldier from Leek who fell in the First World War and who is named on the memorial panels of the Nicholson War Memorial. Sergeant Harold Birchenough was one of 419 men from the town who gave their lives during the ‘war to end all wars’. 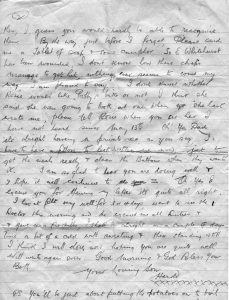 Descendants of Sergeant Birchenough have kept these particular documents in pristine condition, allowing us to look back ninety years and see a snapshot of this young soldier’s short life. Harold Birchenough was born on 5th October, 1896, to Herbert and Emily Birchenough of 19, Shirley Street, Leek. He was an only child. After leaving school, Harold went to work at the offices of Wardle and Davenport’s textile mill in Leek. 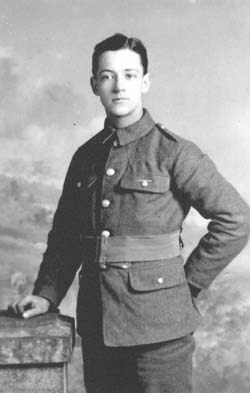 He enlisted in the Royal Fusiliers in December, 1915 and was sent to France in June, 1916, just in time for the offensive on the Somme. By then, he had been promoted to corporal. In May of 1917, Harold was wounded and returned to England for treatment and recuperation. He was clearly a good soldier and, when he had recovered, was posted to a training depot at Dover as an instructor. In November, 1917, Harold was posted to Ireland but later returned to the Western Front where he was transferred to the Durham Light Infantry with promotion to the rank of sergeant. At the end of April 1918, the IX Corps of the British Army was posted to the French 6th Army in this sector to rest and refit following the German offensives on the Somme and Lys. Here, at the end of May, they found themselves facing an overwhelming German attack, which, despite fierce opposition, pushed the Allies back across the Aisne to the Marne. 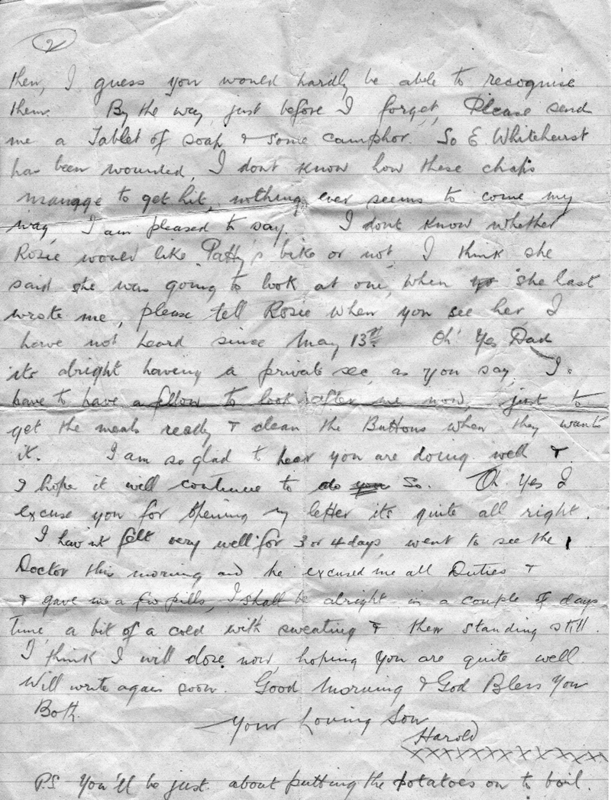 On the morning of Sunday, 26th May, 1918, Sergeant Harold Birchenough wrote his last letter home. 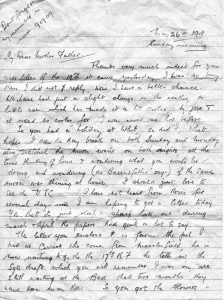 In it, he spoke of the hot weather and the ‘quiet time’ he was experiencing at the moment. 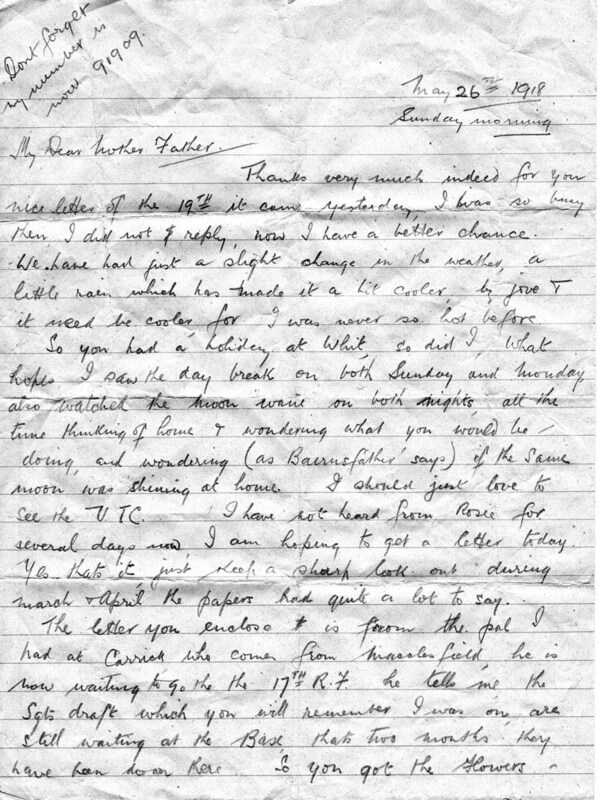 Perhaps as well, he noted, as he had felt unwell for a few days and had seen the Medical Officer for treatment. The next morning, Monday, 27th May, all hell broke loose as German forces took the defenders on the River Aisne by surprise with a massive attack. The troops had been densely packed in forward trenches thus making an easy target for artillery. By the end of the day, 21 year-old Harold Birchenough lay dead, along with thousands more British soldiers killed in the same action. His body was lost and he is commemorated on the Soissons Memorial to the Missing, France. Having suffered 15,000 fatal casualties, IX Corps was withdrawn from this front in early July, but was replaced by XXII Corps, which took part in the Allied counter attack that had driven back the Germans by early August and recovered the lost ground. 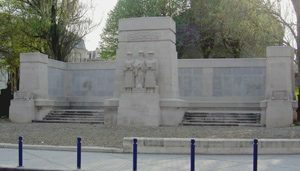 The Soissons Memorial commemorates almost 4,000 officers and men of Commonwealth forces who died during the Battles of the Aisne and the Marne in 1918 and who have no known grave.